Yahoo! Store Automation - Authorization Interface: Automatically Retrieve Data from Yahoo! Order Pages! 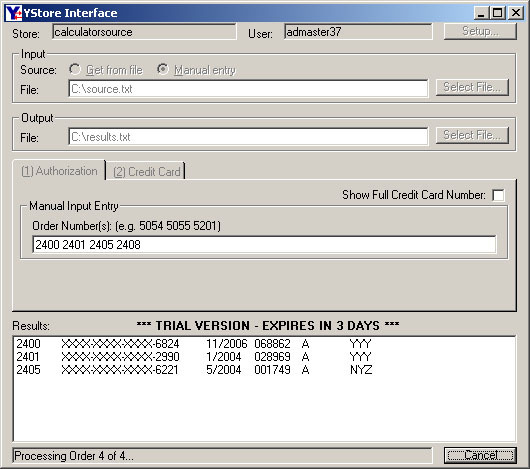 Authorization Interface is a YStore Inteface module that provides simple, secure, automated access to authorization information, including AVS Results, Credit Card Numbers, and IP Addresses. Ideal for those who receive their Yahoo! Store orders through email and are working on automating their order processing and for those concerned with giving their order processing employees access to sensitive credit card information. Also perfect for customers who download their orders, but desire to access order IP information for automated fraud detection. Eliminates the need to purchase, install, and configure PGP software to access this information in real-time e-mail based order processing systems. Provides access to IP information for non-email or fax based order processing systems. Allows you to securely select whether to display full credit card numbers or only the last 4 digits to prevent employee access to customers' credit information and eliminate the security risk of storing credit information on your computer. 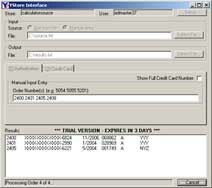 Allows your staff to authorize orders without gaining access to the Store Manager.